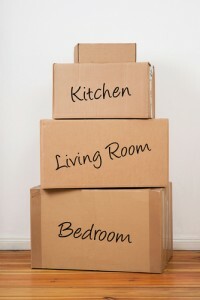 If you are looking for the best in Gold Coast Removalists, then you need look no further than Gold Coast Easymove. 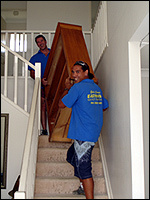 Servicing the entire Gold Coast region since 1995, we are the trusted and respected name in furniture removals. Our promise to you is reliable, safe and efficient removals with a smile. Being family owned and operated Gold Coast Removalists, our reputation is extremely important to us and we are eager to assist you and provide you with the best knowledge to make your relocation easy and stress-free. Nothing is too much trouble for us. Experience is extremely important when moving, and knowing you are dealing with a reputable owner/operator can make a big difference. Your belongings and valuables are loading with precision, expertise and care and delivered in tact every time, on time. We do not believe in taking our time, letting you down, hiding costs or making promises we cannot keep. We strive for complete client satisfaction and service with a smile. Whether it’s a one bedroom unit or a large four bedroom house, commercial or office move, or a pre-pack Gold Coast Easymove can supply all your moving needs. We can also assist with packing materials and boxes and to ensure that extra piece of mind, we can also pack and unpack your valuables, or even just those extra special fragile goods to ensure their safe delivery. Our moving services cover the entire Gold Coast and we can move you to and from the Gold Coast to as far away as Brisbane and the Sunshine Coast and Northern New South Wales. With our one load policy, your precious belongings are only loaded and handled once, but, if you need storage for a period of time between packing, pickup and delivery, we can arrange safe, secure and cost effective storage.